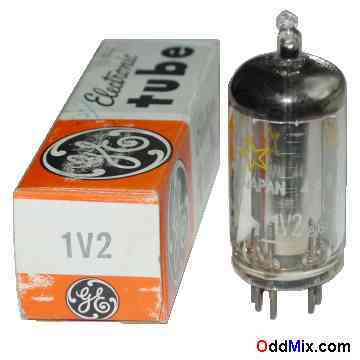 This is an original GE made for Westinghouse 1V2 Electronic Tube. This tube is used as a doubler for high-voltage low-current half-wave vacuum pulse rectifier and for focus rectifier applications. Excellent for those antique radio or television restoration projects, ion generator circuits and for experimentation with high voltage or to set up a private vacuum tube museum. It is a NOS tube [New Old Stock], unused, boxed, in good condition.